Traditional vs Destination Weddings: Which Are Cheaper? You’re flush with the thrill of engagement, but also nervous about planning your wedding – and for good reason. Between dozens of differing opinions from loved ones and the sheer cost of throwing a wedding, it’s tough to choose a location and venue. This decision can be even more challenging if you’re struggling to choose between getting married at home or abroad. At the heart of your decision lies the conflict between sentimentality and adventure. A domestic ceremony can deliver warm fuzzy feelings of nostalgia. Friends and family members who cannot travel far can typically make it to ceremonies near home, even if restricted by health or mobility issues. If you’re craving adventure, however, a traditional wedding will leave you feeling deeply unsatisfied. While your honeymoon will grant you plenty of opportunities to explore, there’s something to be said for experiencing something new alongside those you love most. If your decision comes down to cost, you might be surprised to learn that destination weddings are, on average, less expensive than those closer to home. The Knot reports that the average domestic wedding costs a whopping $33,391, versus an average of $7,804 per couple cited by the Destination Weddings Travel Group. Of course, each wedding’s cost may vary based on destination, guest count, and several other factors. Below, we explore many of the costs that separate traditional weddings and destination weddings. Whether you wed in a church, a ballroom, or an event center, the venue will cost a pretty penny. According to The Knot, the average couple spends over $15,000 on venue alone. With destination weddings, this cost can be negligible (even starting at FREE!) if you book an onsite venue as part of an all-inclusive resort-based wedding package. Prices for off-site venues vary considerably. Which is cheaper? Destination weddings, most likely! Feeding guests isn’t cheap – especially if your venue requires you to use a specific caterer or meet a minimum spending threshold. Experts at WeddingWire claim that the average couple spends $4,000 on catering. Costs vary depending on number of guests and how they enjoy their meal: buffet-style or plated. Food can be pricey, but it’s just the beginning; few expenditures will overwhelm a wedding budget quite like an open bar. A cash bar is a viable alternative but could be met with resentment from some guests. With a destination wedding, you don’t need to worry about covering drinks; many wedding packages include sparkling wine or champagne. What’s more, all-inclusive accommodations allow guests to order alcoholic beverages to their heart’s delight. If there’s one category in which destination wedding expenses exceed those of traditional home-based nuptials, it’s travel. With a destination wedding, guests are typically expected to cover the cost of their own flight and accommodations. Our data shows the average couple spends $1,206 on airfare. Accommodations for our destination wedding couples average $1,973. For those who desire an intimate occasion, the added cost of airfare and lodging offer the unexpected bonus of weeding out unwanted acquaintances or family members – people who would be perfectly happy to pony up for the gift registry but perhaps don’t want to pay for flights or lodging. Keep in mind that a traditional wedding might not prompt airfare savings if you choose to spend your honeymoon abroad. With the right destination wedding package, however, your honeymoon lodgings could be included free of charge or at a significant discount. A night out with the guys or gals can quickly get expensive, particularly if you hit a fancy bar or stay in a hotel for a night or even longer. So why not party at an all-inclusive resort? Not only are all drinks included, you won’t have to worry about choosing a designated driver or finding an Uber ($$$). A RetailMeNot survey suggests that, with domestic bachelorette parties, guests can expect to spend $137 on food and $116 on booze – costs that don’t factor into pre-wedding festivities at all-inclusive resorts. Flowers and decor can be shockingly expensive. The Knot’s survey indicates that the average couple spends nearly $2,400 on this category alone. Meanwhile, decor, including floral arrangements, is nearly always included in all-inclusive destination wedding packages. Gorgeous tropical backdrops reduce the need for extensive (and expensive) decor, although couples can nearly always opt for add-ons if they desire a more personalized look. Wedding gowns, tuxedos, bridesmaid dresses… classic wedding attire is notoriously pricey. The gown, for example, costs an average of around $1,500. Whether you choose a traditional ceremony at home or experience abroad, all brides and grooms have the flexibility to stick with or do away with traditional wedding attire. With a destination wedding, you can say “I do” barefoot in a casual summer dress. You could just as easily choose a wedding romper or other alternative, cheaper attire for yourself and your bridal party. Each additional vendor you add to your wedding costs, at minimum, another $1,000. Traditional wedding DJs, for example, cost an average $1,231 – and reception bands are even more expensive. These entertainment costs add up quickly, especially if you demand all the bells and whistles for your big day near home. Choose the right destination wedding package, however, and your photographer, DJ or other talent will all be included for a reasonable base price. The best part? 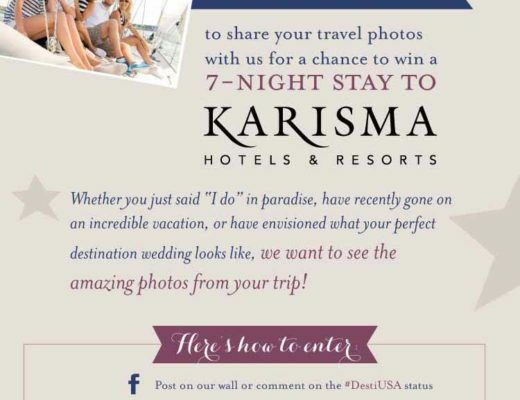 Both us, as Destination Wedding Travel Specialists, and your onsite resort wedding coordinator, are 100% free. We can grant valuable insight into cost-saving measures such as complimentary packages or discounted dates. Wedding favors are typically one of the more affordable aspects of domestic weddings. Many will cost just a few dollars per person, although this can add up quickly with a large reception guest list. Welcome bags are a popular choice for destination weddings, and are typically more expensive, as they include multiple goodies. But in most cases, just a few bags are required, given the guest list for a destination wedding is usually much smaller than a traditional celebration close to home. Which is cheaper? It depends on your guest list and gift selection! No matter where you wed, you’ll want to send invitations and save-the-dates. With destination weddings, however, it is more common to do away with other paper goods such as programs and menu cards. The Wedding Report estimates $750 for all paper goods – before postage. With just 28 guests at the average destination wedding (and minimal paper needs) that cost can realistically be kept to under $200. Destination wedding couples have also taken a turn for nixing tangible save the dates and invitations, anyway, in favor of digital, online communication. This allows to save even more on this wedding planning category (all while being eco-friendly)…win-win! Which is cheaper? Usually destination weddings, but it depends on your preferences! Wedding expenses aren’t limited to financial transactions. Every choice you make also comes with an emotional cost attached. Much of this can be attributed to the stress of planning. Perhaps, for example, you choose to throw a wedding at home in hopes of reducing financial pressures via DIY projects. Yes, this will save you money, but it will cost you in time, and certainly no couple is immune to the stresses of wedding planning. Overwhelmed by an ever-expanding list of to do’s, you may struggle to keep so many obligations straight in the lead-up to your wedding. Not only does a destination wedding financially cost less than domestic nuptials, it can reduce emotional costs. While there’s a certain element of planning involved, much of this can be tackled by your Wedding Specialist. Many resorts offer customizable packages, which take care of details you might otherwise forget. These packages also grant you the freedom to personalize your big day as you see fit. Destination weddings deliver unforgettable memories while minimizing both stress and the final price tag. What’s not to love? No matter where you marry, you’ll thank yourself for planning such a beautiful experience for you, your sweetheart, and those you love most. Whether or not you’ve thought about a location, you can sign up with us for free and get assigned a Certified Destination Wedding Specialist to help make the decision easier! 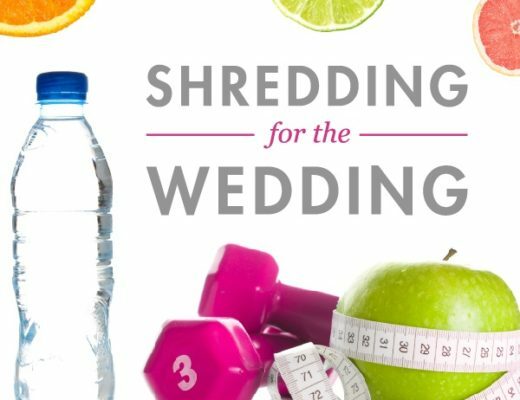 The Countdown Is On: Shredding For The Wedding!